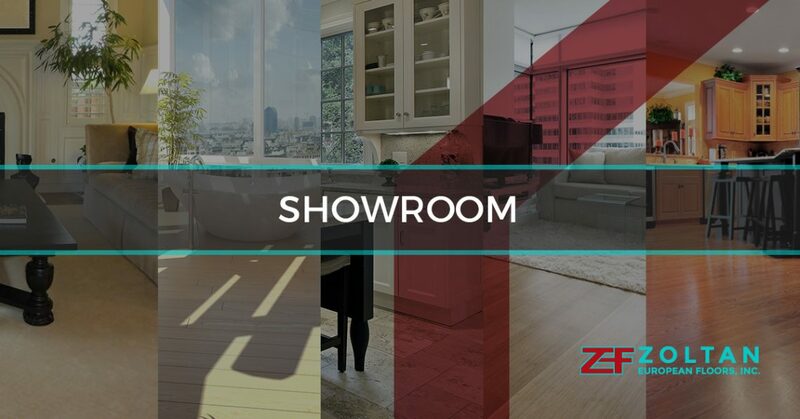 Showroom | Zoltan European Floors, Inc.
Before you stop in to check out our wide selection of flooring options and services, take the time to learn a little about each of your flooring options. Hardwood floors will give your home a warm and inviting feel. 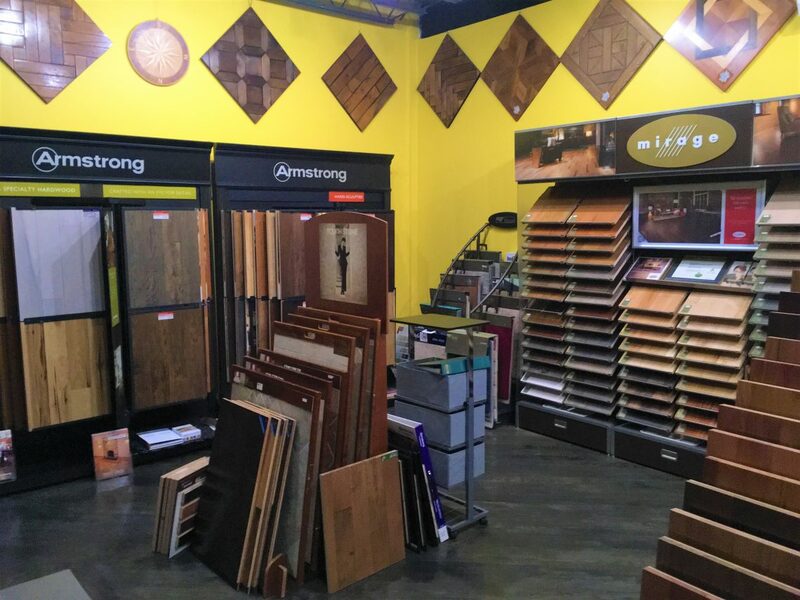 Due to the durability of it, you won’t have to worry about your floor becoming damaged easily. 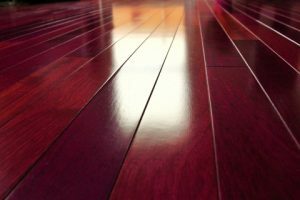 Hardwood is an aesthetically pleasing option that will help to give your residence an atmosphere that is welcoming. With hardwood flooring, you’re able to add an old world feel no matter the type of wood you decide on. We offer distressed wood paneling all the way to types of wood such as mahogany. 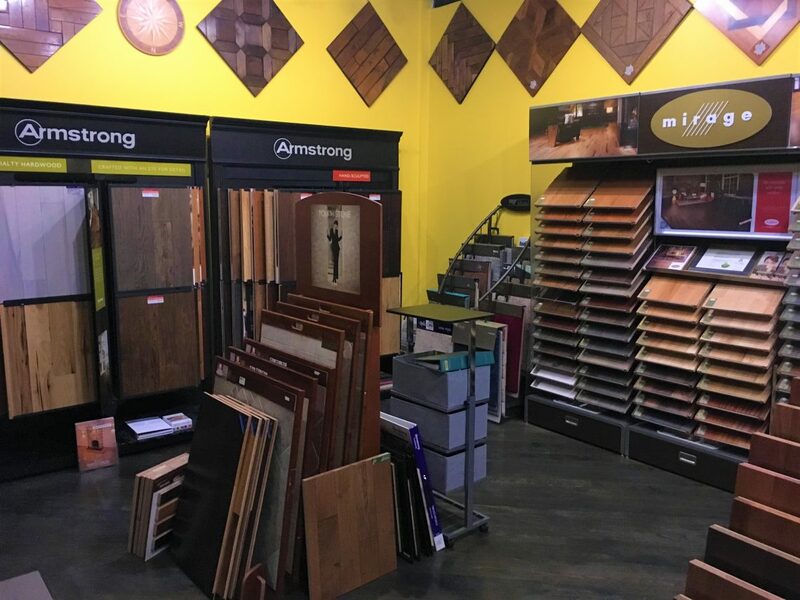 With such a wide variety of hardwood options to choose from, you’ll be able to find the right look for your home when you come down to our showroom. 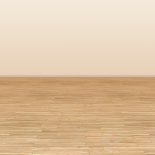 Laminate flooring is the perfect choice for families who have children and animals. 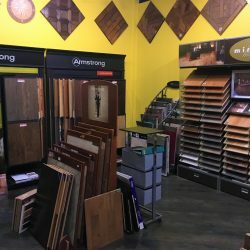 This type of flooring is scratch resistant and is perfect for high traffic areas. 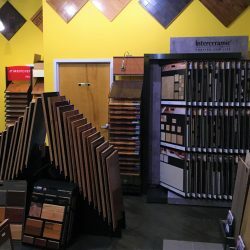 Laminate is a great choice for those who like the look of hardwood floors, but don’t want to deal with the maintenance. 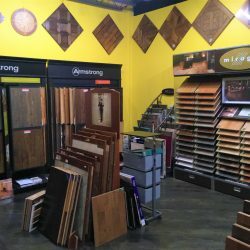 This flooring option is easy to install, which makes it more affordable than other options you may be looking at. 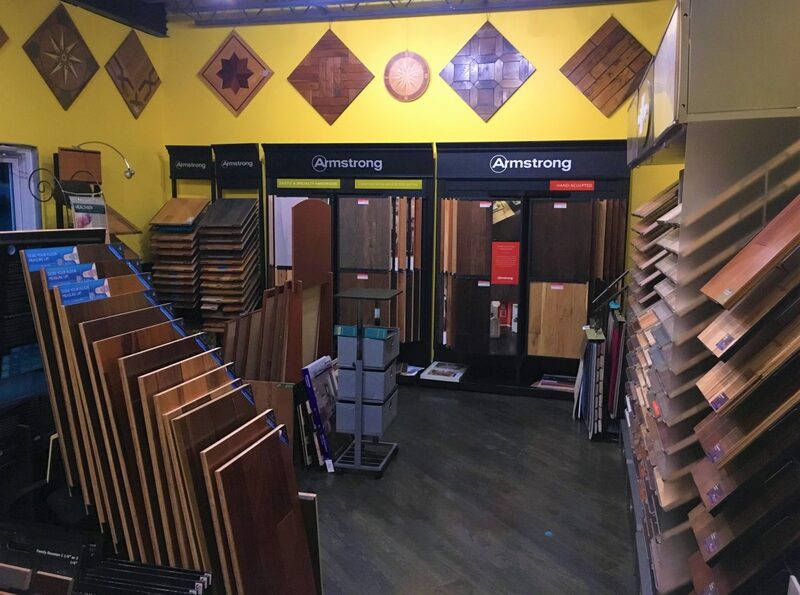 Laminate flooring also comes in many different brands, so to make your final decision come down to our showroom to see what would be the best option for you. Tile is perfect for kitchens, bathrooms, patios, and even laundry rooms. 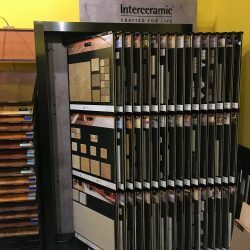 You can have many different styles with tiles that make your home truly unique. You can have a Mediterranean look, a Southwestern one, or you can have a beautiful cobblestone patio that makes your backyard beautiful. Tile is perfect for rooms that need a little uniqueness thrown into them. 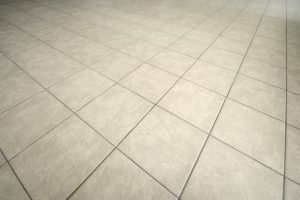 The best part about tile is that they are extremely easy to clean and you don’t have to worry about stains or a broken floor. 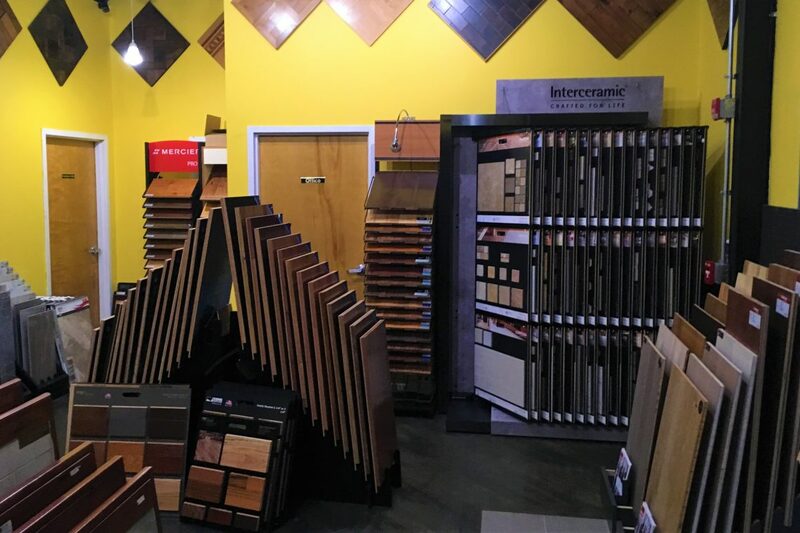 For a full selection of our tiles, visit our showroom. 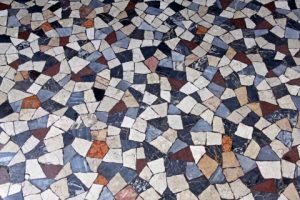 Linoleum is a flooring option that many may already have preconceived notions about. 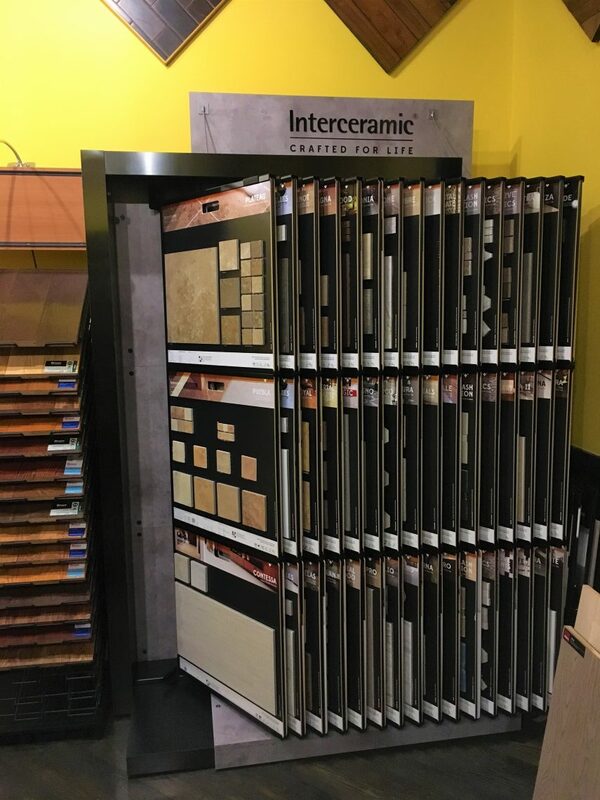 You can pick from a variety of colors, styles, and patterns, when you come down to our showroom to see what style would best fit your home. Linoleum is a great choice for rooms such as kitchens, bathrooms, finished basements, and laundry areas because this option is water resistant. Additionally, in high traffic areas, linoleum is the perfect option because it’s very sturdy. 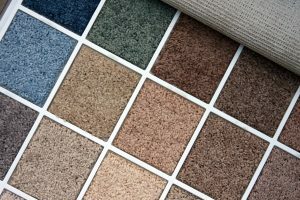 In our showroom, we can present you with a variety of types of carpet that look great in any home that wants a little comfort. You can create a cozy atmosphere in bedrooms, living rooms, and family rooms, when you decide to go with carpet. 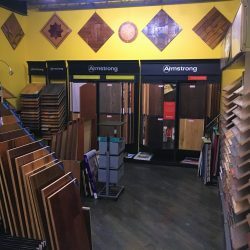 With a myriad of brands, colors, designs, and styles to pick from, you’ll need to come visit us to decide on the right carpet for your residence. If you’re interested in our other services, then take the time to visit us so you can find out all the information you need to know. 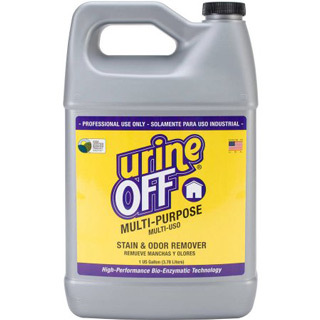 Also check out our Popular product Urine off!